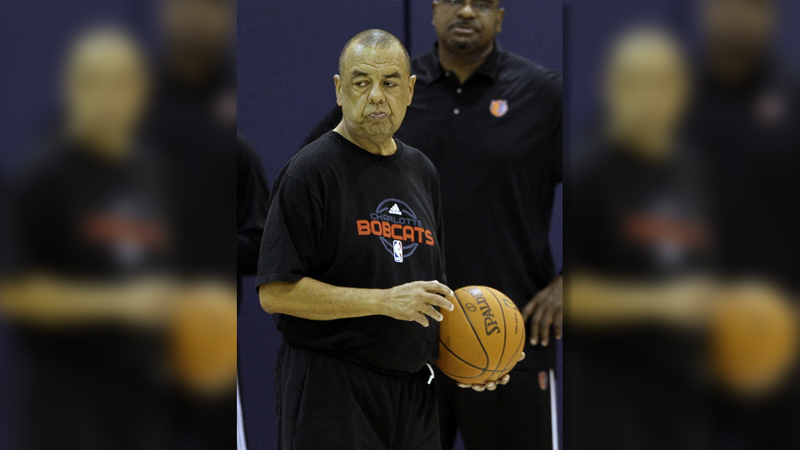 FAYETTEVILLE, North Carolina (WTVD) -- Former Old Dominion and Fayetteville State coach Jeff Capel Jr. has died, less than two years after being diagnosed with ALS. Fayetteville State Chancellor James A. Anderson said family members told him of Capel's death Monday. He was 64. Capel Jr. was diagnosed with ALS in the spring of 2016 by doctors at Duke University. His son - Duke associate head coach Jeff Capel III - revealed the diagnosis in a first-person story written in January for The Players Tribune. Felton Jeffrey Capel Jr. may not command the same reverence or name recognition as the likes of Mike Krzyzewski and Roy Williams, but he left an indelible impact on the game in North Carolina. Starting at Pinecrest High School in his native Southern Pines, he built a career that took him from Fayetteville State to North Carolina A&T to Wake Forest and on through college into the NBA. Capel Jr. coached seven seasons at Old Dominion from 1994-2001, taking the Monarchs to two NCAA tournaments. Capel Jr. also spent one year at North Carolina A&T and four seasons at Division II Fayetteville State and assisted with the Charlotte Bobcats (2004-11) and Philadelphia 76ers (2011-13). "The Fayetteville State University family is saddened by the passing of one of its most respected alumni and former coaches," Anderson said. "Coach Capel and his family are held in high regard by FSU, its alumni and supporters and he will be missed. Our thoughts and prayers are with his parents, wife, children, and family members during this difficult time." We are sad to hear the news that our former assistant coach Jeff Capel, Jr., has passed. Our thoughts and prayers are with the Capel family. Capel Jr. played basketball at Fayetteville State University for one year before joining the Army for four years. He later returned to earn a health and physical education degree. As coach of Fayetteville State, Capel's first team in 1989 went just 7-20. But in year two, the Broncos improved to a 14-13. FSU finished 22-8 in his third year at the helm and 20-9 in his fourth and final season, qualifying for postseason play in 1993. Capel's two sons were Atlantic Coast Conference players who followed their father into coaching. Capel III played at Duke in the 1990s before starting a coaching career that included stops at Virginia Commonwealth and Oklahoma before returning to his alma mater to serve as Mike Krzyzewski's right-hand man. Jason Capel played at rival North Carolina from 1998-2002 and coached four seasons at Appalachian State. Capel Jr. may have lost this battle with ALS, but his place in North Carolina hoops history is already cemented.